"Almost Is Never Enough" (featuring Nathan Sykes) was released on August 19, 2013 as the promotional single from the album. It was also given to The Mortal Instruments: City of Bones . Love and War is the second studio album by American recording artist Tamar Braxton. The album was released on September 3, 2013, by Epic Records and Streamline Records. It is the first album by Braxton in 13 years. The album was a success, debuting at number two on the US Billboard 200 chart selling 114,000 copies. Even though plans for a re-release of the album with a full version of the song "She Did That" and a rap remix of "One on One Fun" in 2014 with additional songs were announced, the idea was eventually scrapped as Love and War was never re-published. Push Baby, formerly known as Rixton, are a British pop rock band that formed in Manchester, England in 2012. They are signed by Scooter Braun's SB Projects. Their debut single "Me and My Broken Heart" charted internationally. The band consists of Jake Roche, Danny Wilkin, Charley Bagnall and Lewi Morgan. ↑ "CDJapan: Yours Truly [Regular-Priced Edition] by Ariana Grande". Cdjapan.co.jp. Retrieved October 31, 2015. ↑ "CDJapan: Yours Truly – Deluxe Edition [w/ DVD, Limited Edition] by Ariana Grande". Cdjapan.co.jp. Retrieved October 31, 2015. 1 2 Lauren Joskowitz (August 8, 2012). "Ariana Grande on debut album: 'It used to be pages from my diary'". Sheknows.com. Retrieved December 29, 2012. ↑ Nostro, Lauren (27 August 2013). "Who Is Ariana Grande?". Complex. ↑ Hyman, Dan (22 August 2013). "Life Is Grande: Ariana Grande On Her Debut Album and the Thrill of Hearing Herself on the Radio". Elle. Hearst Communications, Inc.
↑ Grande, Ariana. "Ariana Grande tweets picture of contract". Twitter. Retrieved 10 August 2011. ↑ "Universal Republic Records Announces the Signing of Ariana Grande". Reuters. August 11, 2011. Retrieved 11 August 2011. ↑ "Ariana Grande Talks Music at the Creative Arts Emmy Awards 2011". YouTube. Retrieved 12 September 2011. ↑ Gregoire, Carolyn (December 12, 2011). 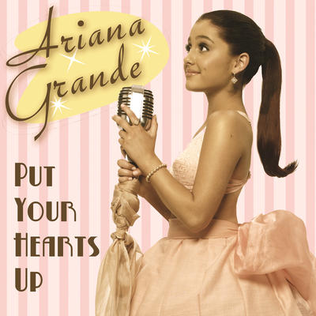 "Ariana Grande Debuts New Single, 'Put Your Hearts Up'". Huffington Post. Retrieved 12 December 2011. ↑ "Ariana Grande performs Honeymoon Avenue in San Diego". Youtube. Retrieved 21 February 2012. ↑ "Pink Champagne lyric clarification by Matt and Ariana". YouTube. Retrieved 24 February 2012. ↑ "Unbroken – Demi Lovato". AllMusic . All Media Network . Retrieved January 20, 2016. ↑ Lipshutz, Jason. "Ariana Grande Talks Breakout Hit 'The Way': Watch New Music Video". Billboard. Retrieved March 28, 2013. ↑ Wass, Mike (August 28, 2014). "Iggy Azalea Turned Down The Chance To Work On Ariana Grande's Debut LP 'Yours Truly'". Idolator . Retrieved August 29, 2014. ↑ Jason Lipshultz (May 20, 2013). "Ariana Grande's 'Daydreamin Album Due In Late August". Prometheus Global Media . Retrieved February 25, 2014. ↑ Vena, Jocelyn (August 1, 2013). "Ariana Grande Is Introducing The 'Real' Ariana On Yours Truly". MTV News. MTV Networks . Retrieved August 2, 2013. ↑ Brown, Lisa (April 18, 2016). "Ariana Grande Shares Sultry New Tune 'Let Me Love You' Featuring Lil Wayne". Billboard . Retrieved June 5, 2016. 1 2 3 Pareles, Jon (September 2, 2013). "Daddy Dearest". The New York Times . Arthur Ochs Sulzberger, Jr. Retrieved March 2, 2014. 1 2 Scott, Interrante (September 11, 2013). "Ariana Grande: Yours Truly". PopMatters. Retrieved September 6, 2018. 1 2 3 4 5 6 Ryce, Andrew (September 23, 2013). "Ariana Grande: Yours Truly". Pitchfork. Retrieved May 23, 2014. 1 2 3 4 Matt Collar (August 30, 2013). "Yours Truly – Ariana Grande | Songs, Reviews, Credits, Awards". AllMusic . All Media Network, LLC. Retrieved January 1, 2014. ↑ "Ariana Grande "Honeymoon Avenue" - Music Sheet". music notes.com. Retrieved June 18, 2017. 1 2 3 4 5 "Ariana Grande, 'Yours Truly': Track-By-Track Review". Billboard. Prometheus Global Media. September 4, 2013. Retrieved January 1, 2014. ↑ Garibaldi, Christina (August 29, 2013). "Ariana Grande's Yours Truly Captures Her 'Most Important Years'". MTV . Retrieved June 18, 2017. 1 2 3 Catucci, Nick (August 29, 2013). "Yours Truly". Entertainment Weekly . Time Inc. Retrieved August 31, 2013. 1 2 Rubenstein, Jenna Hally (July 22, 2013). "New Song: Ariana Grande, 'Baby I'". MTV . Retrieved July 22, 2013. 1 2 3 "Ariana Grande: 'Yours Truly' – album review". Digital Spy. September 2, 2013. Retrieved January 1, 2014. ↑ "Ariana Grande "Tattooed Heart" Sheet Music in G Major (transposable) – Download & Print". Musicnotes.com. Retrieved July 9, 2017. ↑ "Ariana Grande's "Piano": Hear The Standout 'Yours Truly' Track". Idolator. August 29, 2013. Retrieved July 9, 2017. ↑ "Ariana Grande's 'piano' Is Probably Her Poppiest, Most Appealing 'Yours Truly' Track Yet". MTV. August 29, 2013. Retrieved July 9, 2017. ↑ "Ariana Grande Interview @Ytv". Y100.com. March 20, 2013. Retrieved August 2, 2013. ↑ "Ariana Grande Artist Chat". 933flz.com. Retrieved August 2, 2013. ↑ "Ariana Grande In-Studio". Elvisduran.com. Retrieved August 2, 2013. ↑ "Ariana Grande In Studio With JoJo Wright!". Kiisfm.com. March 25, 2013. Retrieved August 2, 2013. ↑ "Ariana Grande Webcast « Pop News, Artists, Celebrity Gossip, Fernando & Greg – 997 NOW". 997now.cbslocal.com. July 19, 2013. Retrieved August 2, 2013. ↑ "Wango Tango 2013". Kiisfm.com. May 11, 2013. Retrieved August 2, 2013. ↑ "Star Party 2013: Ariana Grande". Kdwb.com. Retrieved August 2, 2013. ↑ "Ariana Grande Performance". Kiss108.com. Retrieved August 2, 2013. ↑ "Birthday Bash Artist Profile: Ariana Grande « 103.3 AMP Radio". 1033ampradio.cbslocal.com. May 20, 2013. Retrieved August 2, 2013. ↑ Concerts (May 6, 2013). "Starlight Blog Post". Kcstarlight.com. Retrieved August 2, 2013. ↑ Corner, Lewis (August 2, 2013). "Ariana Grande changes new album 'Yours Truly' artwork after criticism — Music News". Digital Spy. Hearst Magazines UK . Retrieved August 2, 2013. ↑ "iTunes – Music – Yours Truly by Ariana Grande". Itunes.apple.com. September 3, 2013. Retrieved January 1, 2014. 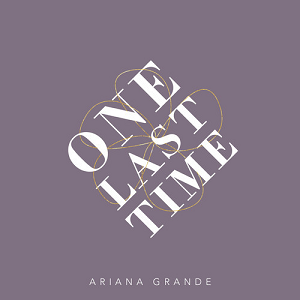 ↑ "Ariana Grande — Almost Is Never Enough ft. Nathan Sykes". 19 August 2013. ArianaGrandeVEVO's YouTube channel. Retrieved August 30, 2013. ↑ Ariana Grande – Chart History. Billboard . Retrieved September 3, 2013. ↑ "iTunes - Music - Popular Song (feat. Ariana Grande) - Single by MIKA". iTunes Store (US). Retrieved 2012-12-28. ↑ Smith, Gardy (2013-04-29). "Mika and Ariana Grande remix 'Wicked' song 'Popular'". Entertainment Weekly. Retrieved 2018-09-18. ↑ "Ariana Grande Performs at VMA Pre-Show". Rap-Up.com. August 25, 2013. Retrieved January 1, 2014. ↑ "Yours Truly – Album by Ariana Grande". iTunes Store. Archived from the original on October 14, 2013. Retrieved August 30, 2013. ↑ Randee Dawn (September 3, 2013). "Ariana Grande gets a big reception on Today plaza". Today.com. Retrieved January 1, 2014. 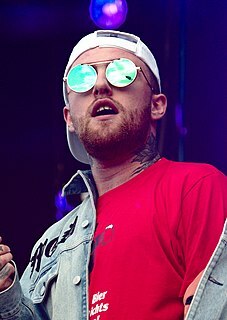 ↑ "Ariana Grande and Mac Miller Perform on 'Today' Concert Series". Rap-Up.com. Retrieved January 1, 2014. ↑ "Ariana Grande Will Take Her Flawless Vocals To The 2013 Style Awards". MTV Style. Viacom Media Networks. September 3, 2013. Retrieved January 1, 2014. ↑ "Ariana Grande Performs "Tattooed "Heart" At The 2013 Style Awards". Nickutopia. September 5, 2013. Retrieved January 1, 2014. ↑ "Ariana Grande Sings Broadway Versions of Rap Songs on 'Late Night'". Rap-Up.com. Retrieved January 1, 2014. ↑ "Ariana Grande's "The Listening Sessions" Tour Is Coming To Chicago". World News Views. July 18, 2013. Retrieved July 18, 2013. ↑ Nickutopia, Staff (July 23, 2013). "Scooter Braun Makes An Announcement About Ariana Grande's "Yours Truly" Album". Nickutopia. Retrieved July 24, 2013. ↑ "Ariana Grande's Concert Tour Is Almost Sold Out". Disney Dreaming. July 19, 2013. Retrieved July 19, 2013. ↑ "Justin Bieber's 'Believe' Tour Coming Back to the U.S. With Ariana Grande and More as Opening Acts!". June 20, 2013. ↑ "Ariana Grande – "Piano" [Ariana finds out her album is #1] (Live in Los Angeles 9–9–13)". YouTube . Retrieved September 10, 2015. ↑ "Ariana Grande – Chart history". Billboard . Prometheus Global Media . Retrieved September 8, 2013. ↑ Lipshutz, Jason (March 28, 2013). "Breakout Hit "The Way"". Billboard . Prometheus Global Media . Retrieved March 7, 2014. ↑ "Macklemore & Ryan Lewis Top Hot 100; Imagine Dragons, Ariana Grande Hit Top 10". Billboard. April 3, 2013. Retrieved May 5, 2013. ↑ Lipshutz, Jason. "Ariana Grande Unveils 'Yours Truly' Artwork, Confirms Release Date". Billboard. Retrieved July 31, 2013. ↑ Caulfied, Keith. "Selena Gomez Earns First No. 1 on Billboard 200". Billboard. Retrieved July 31, 2013. ↑ Vena, Jocelyn. "Will Ariana Grande Time-Travel To The '90s For 'Baby I' Video?". MTV News . Viacom Media Networks . Retrieved July 26, 2013. ↑ "Right There [feat. 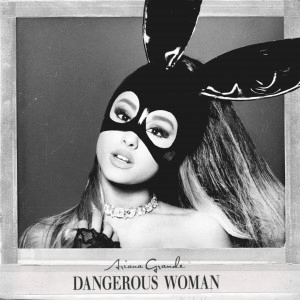 Big Sean]: Ariana Grande: MP3 Downloads". Amazon.com. Retrieved January 1, 2014. ↑ "Ariana Grande – Chart history". Billboard. Retrieved January 1, 2014. ↑ "Rhythm Crossover Airplay Release Archive". FMQB. Retrieved January 1, 2014. 1 2 "Yours Truly Reviews". Metacritic. Retrieved January 1, 2014. 1 2 Dennehy, Ryan (October 8, 2013). "Ariana Grande – Yours Truly". AbsolutePunk. Retrieved May 23, 2014. ↑ Wood, Mikael (September 6, 2013). "Review: Ariana Grande's charmingly retrograde 'Yours Truly'". Los Angeles Times . Eddy Hartenstein . Retrieved January 1, 2014. 1 2 "Ariana Grande strives for diva stardom on unexceptional 'Yours Truly'". The Michigan Daily . September 3, 2013. Retrieved January 1, 2014. 1 2 "Music reviews: 'Another Self Portrait,' 'Yours Truly'". NY Daily News . New York: Mortimer Zuckerman . Retrieved January 1, 2014. 1 2 Interrante, Scott (September 12, 2013). "Ariana Grande: Yours Truly". PopMatters. Retrieved May 23, 2014. ↑ "Ariana Grande Heading for Top of Billboard 200". Billboard. Prometheus Global Media. September 4, 2013. Retrieved September 8, 2013. ↑ Caulfield, Keith. "Ariana Grande Debuts At No. 1 On Billboard 200". Billboard. Prometheus Global Media . Retrieved September 11, 2013. ↑ "Ariana Grande, Tamar Braxton Score Top Debuts". Rap-Up . Rap-Up, LLC. September 11, 2013. Retrieved January 1, 2014. ↑ "Ladies First Quiz: Ariana Grande & 15 No. 1 Female Debut Albums". Billboard. Prometheus Global Media. September 11, 2013. Retrieved January 1, 2014. ↑ "Ariana Grande Heading for Top of Billboard 200". Billboard. Prometheus Global Media. September 4, 2013. Retrieved January 1, 2014. ↑ "Ariana Grande Debuts At No. 1 On Billboard 200". Billboard. Prometheus Global Media. September 4, 2013. Retrieved January 1, 2014. ↑ "Billboard 200 : Sep 28, 2013 | Billboard Chart Archive". Billboard. Prometheus Global Media. September 28, 2013. Retrieved January 1, 2014. ↑ Tardio, Andres (September 18, 2013). "Hip Hop Album Sales: The Week Ending 9/15/2013". HipHopDX . Cheri Media Group. Retrieved January 1, 2014. 1 2 Trust, Gary (April 22, 2018). "Ask Billboard: Ariana Grande's Career Album & Song Sales". Billboard . (Prometheus Global Media). Retrieved April 22, 2018. ↑ "Top 100 Individual Artist Albums Week Ending 5th September 2013". IRMA. ↑ "NZ Top 40 Albums Chart | The Official New Zealand Music Chart". NZ Top 40. September 9, 2013. Retrieved January 1, 2014. 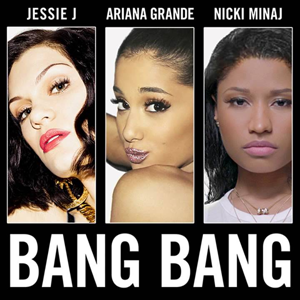 1 2 "2014 Year-End Charts – Billboard 200 Albums". Billboard. Prometheus Global Media. Retrieved December 10, 2014. ↑ "Yours Truly by Ariana Grande on Apple Music". ↑ Ariana Grande – Yours Truly. Album booklet. Republic Records (Universal Music Group). ↑ "Australiancharts.com – Ariana Grande – Yours Truly". Hung Medien. Retrieved October 11, 2013. ↑ "Austriancharts.at – Ariana Grande – Yours Truly" (in German). Hung Medien. Retrieved October 11, 2013. ↑ "Ultratop.be – Ariana Grande – Yours Truly" (in Dutch). Hung Medien. Retrieved October 11, 2013. ↑ "Ultratop.be – Ariana Grande – Yours Truly" (in French). Hung Medien. Retrieved October 11, 2013. ↑ "Ariana Grande Chart History (Canadian Albums)". Billboard. Retrieved October 11, 2013. ↑ "Comprehensive List 2013, Week 49" (in Chinese). Sino Chart . Retrieved September 1, 2014. ↑ "Danishcharts.dk – Ariana Grande – Yours Truly". Hung Medien. Retrieved October 11, 2013. ↑ "Dutchcharts.nl – Ariana Grande – Yours Truly" (in Dutch). Hung Medien. Retrieved October 11, 2013. ↑ "Lescharts.com – Ariana Grande – Yours Truly". Hung Medien. Retrieved October 11, 2013. ↑ "Official Cyta-IFPI Charts Top-75 Albums Sales Chart". IFPI Greece. Archived from the original on September 1, 2014. ↑ "GFK Chart-Track Albums: Week 36, 2013". Chart-Track. IRMA. Retrieved October 11, 2013. ↑ "Oricon Top 50 Albums: 2014-02-17" (in Japanese). Oricon. Retrieved February 18, 2014. ↑ "Yours Truly de @ArianaGrande puesto #39 del #Top100MX del 21 al 27 de octubre..." (in Spanish). Asociación Mexicana de Productores de Fonogramas y Videogramas. Twitter. November 14, 2013. Retrieved August 31, 2014. ↑ "Charts.org.nz – Ariana Grande – Yours Truly". Hung Medien. Retrieved 11 October 2013. ↑ "Norwegiancharts.com – Ariana Grande – Yours Truly". Hung Medien. Retrieved October 11, 2013. ↑ "Official Scottish Albums Chart Top 100". Official Charts Company. Retrieved October 11, 2013. ↑ "2013년 40주차 Album Chart" (in Korean). Gaon . Retrieved September 18, 2017. ↑ "Spanishcharts.com – Ariana Grande – Yours Truly". Hung Medien. Retrieved June 11, 2016. 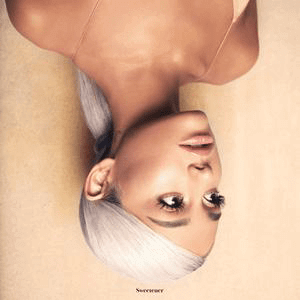 ↑ "Swisscharts.com – Ariana Grande – Yours Truly". Hung Medien. Retrieved 11 October 2013. ↑ "Official Albums Chart Top 100". Official Charts Company. Retrieved October 11, 2013. ↑ "Ariana Grande Chart History (Billboard 200)". Billboard. ↑ "Billboard 200 Albums: Dec 13, 2013". Billboard. 2013. Retrieved December 13, 2013. ↑ "Canadian album certifications – Ariana Grande – Yours Truly". Music Canada . Retrieved November 16, 2018. ↑ 年間アルバムヒットチャート 2014年(平成26年) 2014/12/15更新 (in Japanese). Oricon . Retrieved December 15, 2014. ↑ "British album certifications – Ariana Grande – Yours Truly". British Phonographic Industry . Retrieved November 25, 2017. Select albums in the Format field. Select Gold in the Certification field. Type Yours Truly in the "Search BPI Awards" field and then press Enter. ↑ Jones, Alan (August 24, 2018). "Charts analysis: Ariana Grande's sweet start to album campaign". Music Week . Intent Media. Retrieved August 24, 2018. (Subscription required (help)). ↑ "American album certifications – Yours Truly". Recording Industry Association of America. If necessary, click Advanced, then click Format, then select Album, then click SEARCH.